The second trimester of this pregnancy has been a completely different experience than with my first born. If you’ve been a follower of the blog for a while, then you may have noticed a lull in posts this summer. This was because my energy levels and focus were extremely low and I chose to prioritize my family over the blog. I’m excited to be back and ready to share some great insight I’ve learned about motherhood, priorities, and how to truly live life the way you’d like. Before we get into some of those posts though, I thought I’d update you on life – specifically life as a pregnant toddler mom. It’s been a whirlwind and while I’m looking forward to having two kids close in age, there are also times that I’m not so sure that pregnancy with a one year old was such a great idea. 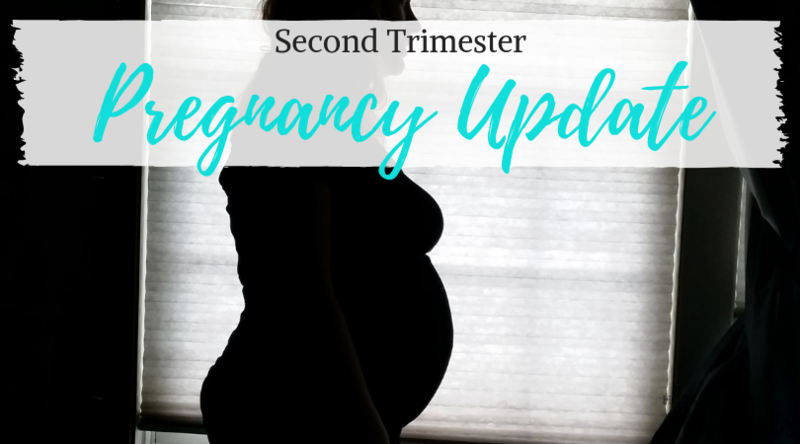 I’ve shared my thoughts on this topic and so much more in the second trimester recap below. Let’s start with the big question that everyone wants to know. It’s also the question that matters most when you’re talking about a pregnancy. How is baby doing? Baby Boy seems to be measuring fine and all has been well. Yep, that’s right – we’re having another boy! He has an anterior placenta so it took me longer to feel his movements. However, now he seems eager to let me know that he’s counting down the days until he meets us. Another question that’s often asked during pregnancy is “how’s mama?” I have to say that my answer most days would be “I truly don’t know.” There are days where pregnancy, toddlerhood, and everything else seems so easy. Then, there are other days where a movie gets put in just so that we can make it through without an insane blow up. 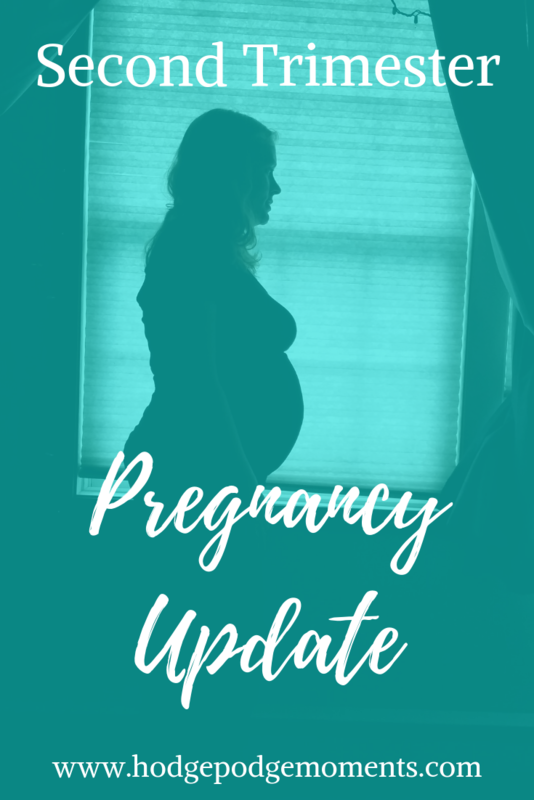 Everything has been up and down with this pregnancy – my mood, my energy levels, and my aches and pains. Some days are SO easy, while others are incredibly hard to get through. Throw in a case of hand, foot, and mouth for Baby Fox and a sprained ankle from tripping in a pothole for me and you’ve got a small glimpse into the chaos that was this summer. All in all, we’re managing though. I’m busy prepping the house for guests, thinking ahead to two ndunder two, and organizing everything under the sun. I’m guessing this is part of the nesting phase of pregnancy. I honestly don’t know since I never truly nested with my first pregnancy. It’s so true what they say about all pregnancies being different. This pregnancy has been incredibly different. In fact, I went into the anatomy ultrasound predicting that we were having a girl. Imagine my surprise when I was told a boy. (That’s a story for another time though.) I’ll give you a super quick run down of some of the differences I’ve experienced. With this pregnancy, my energy levels have remained low for most of the pregnancy. With my first, I had a sudden burst of motivation and energy in my second trimester that I used to get a lot of stuff done. I feel there’s two things that have contributed to this lack of energy. The first is that I’m not able to nap when I need to like I could with the first one. The second reason is the season. My first pregnancy was primarily during the fall and winter. This pregnancy, the second trimester fell right smack in the middle of summer. Pregnant in the summer is not a fun ordeal. Another major difference with this pregnancy is the way my body is reacting. I already mentioned that my glucose test went better. However, I’ve had more aches and pains (including headaches) with this pregnancy. I’m also outgrowing my maternity clothes in a much different way than I did with my first. I’m not sure if there’s truly a “reason” behind this difference or not. I do know that it’s frustrating when I get dressed and can’t find anything that works. I’m definitely living in yoga pants, stretchy skirts, and leggings as much as possible over here. The other major difference with this pregnancy is me. I’m not as eager to take bump photos and I find myself forgetting them quite often. Looking back on my first pregnancy, I did skip a few weeks in there but they were towards the end of pregnancy. With this one, the skipping has occurred in the middle of pregnancy. I recently posted a bump photo for 29 weeks, but there had been quite a lull before that. My goal is to get better with my weekly photos, but I’m definitely not giving any guarantees. That’s basically all of the details you need to be caught up on how this pregnancy is going. I’m hoping that I have a smoother delivery experience since this pregnancy has been a bit rougher than the first. We’ll just have to wait and see how that one goes though. Did I miss a question? Is there something else you’d like to know about this pregnancy so far? Don’t be shy – ask me in the comments below! In many ways, I’m a bit of an open book. Oh, I agree with you, being pregnant in the summer is not fun.